The True Lit festival is devoted to the tremendous literary traditions Northwest Arkansas has fostered over the years. 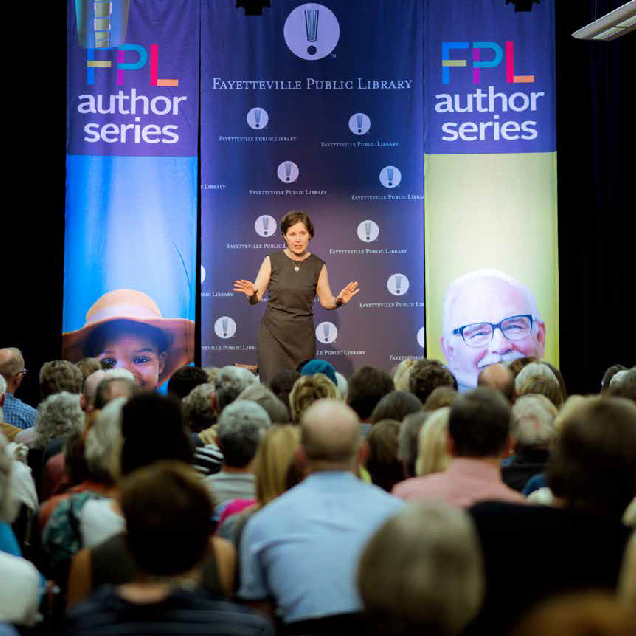 Literary roots run deep in Fayetteville, providing the fertile ground that continues to produce talented and acclaimed writers in the region. Our community loves great literature, so the festival has presented distinguished authors such as Jack Gantos, Jacqueline Woodson, Lois Lowry, and Zadie Smith. Entering our 6th year, True Lit continues to showcase author events for all ages, with school visits reaching over 4,000 students from the 4th–12th grades, writing workshops designed to help new talent find publishers, as well as poetry readings and art classes to spark the creativity in everyone. We are delighted to present festival keynotes Kwame Alexander and Gordon Korman at free public events, and the festival proudly hosts acclaimed author Marlon James, the University of Arkansas Program of Creative Writing and Translation’s Distinguished Reader of 2018. With such a variety of perspectives, expressions, and stories, we hope you will join us.